Today it is widely known that fisher cats inhabit the Cape, but nearly a decade ago there was much skepticism about their existence here. 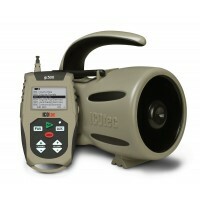 I have never seen a fisher here, ever, but I would love to call one in sometime. Fisher Cats on Cape Cod? I have lived on Cape Cod for 30 years, and have never heard a noise like I did a couple weeks ago. It sounded like a combination of a wounded bird and a bad power steering pump. Being an avid outdoorsman I knew it was some kind of animal, but what was it? After talking with friends, we figured out it must be a fisher cat, a creature that is not native to Cape Cod (at least in the last 30 years). Like the coyote, which was never around when I was a kid, apparently the fisher cat has made the Cape it’s new stomping ground. According to my research fisher cats eat, rodents, squirrels, house cats, rabbits, and raccoons. Anything that eats raccoons must be pretty tough. They are also famous for their ability to successfully hunt and kill porcupines. 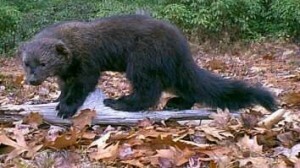 One of the very few other animals to prey on porcupines is a close cousin of the fisher, the wolverine. Apparently the sound my friends and I were hearing is the fisher’s mating call according to Mass Wildlife. The fisher mates during March/April. There have been reported sightings of fisher cats on the Cape for more than two years, but there has never been any evidence to prove their existence. The discovery of a dead fisher on Route 130 in Sandwich confirmed their presence. On Cape Cod, they’ve been mostly suburban legend, with sightings reported for nearly two years. But there has never been any confirmation that the critters had made their way across the Cape Cod Canal, according to Thomas French, assistant director of the Massachusetts Division of Fisheries and Wildlife. Sandwich police Officer Bruce Lawrence saw what looked like a large cat or small dog at the side of Route 130 near the Massachusetts Military Reservation. He suspected it might be a fisher, but called animal control officer Timothy Houlihan to be sure. Houlihan brought the dead animal, which had been struck by a car, to Cape Wildlife Center in West Barnstable where experts there got their first look at Cape Cod’s newest species. “It’s the first time we’ve had actual documentation,” said Judy Ellal, a rehab manager and veterinary technician. “We’ve had sightings, but no photos to prove they exist here.” Based on the size of the fisher and the good condition of its sharp teeth, Ellal suspects it was about 1 year old. She said it weighed 11 pounds and was 23 inches long, including a 15-inch bushy tail. Wildlife experts say with an already growing fox and coyote population, it’s another reason to keep cats and small dogs safely indoors at night. They don’t believe there is any threat to small children, however. “It’s a fair assumption you’re not going to have toddlers running around the woods at night,” Ellal said, noting that fishers are nocturnal. Fishers don’t attack dogs, but can defend themselves against larger animals if they’re cornered, French said. The discovery confirmed what Peter Trull, a wildlife specialist and middle school science teacher, has been saying for several years – fisher cats are here. Fisher cats were nearly eliminated from the state because of extensive land clearing in the 1860s, French said. Now they are returning and they’ve moved quickly from northern and western Massachusetts over the past 10 years, he said. The state Web site specifically mentions Cape Cod as one of the areas where fisher cats are not found, but French said that will be updated. Cape Codders won’t be running into fisher cats, though. Even in forests heavily populated with them, sightings are rare, he said. Beavers and the northern raven are the next species that could return to Cape Cod, French said. Bear and moose have been making comebacks in the western part of the state and they too are slowly headed this way, he said. But don’t expect to run into one in the Shawme Forest any time soon. “It’s going to be a long time – decades and probably never – before a moose or bear crosses the canal,” French said. Saw a strange animal cross Minot Ave. in Wareham this AM. Looked it up and have to say looks like a Fisher Cat. Group of women this morning walking all are positive they saw a Fisher Cat cross in front of them at about 6am. They googled the beast after their walk and their first feelings were confirmed. Live in Brewster near Smith Pond. I’ve been hearing a strange screaming sound for the past 2 nights, and had no idea what it was. After talking to my neighbor, I learned that there is a Fisher Cat in the area. My neighbor had seen it. Saw a fisher cat just a few hours ago. Was parked behind the flea market on Cranberry Highway across from Benny’s waiting for son to get done working. Truck was backed up to building facing rail road tracks. Dark out but there are some lights on back of building. Saw something walking down tracks, shadow looked like dog, or something. When was directly in front of truck I put on headlights and got perfect view. Full headlights, three to five seconds. Looked like a combination cat / raccoon or cat / bear. Two and a half feet to three feet long. Big tail. Foot to foot and half tall. Looked on Internet and found picture. Exactly what I saw. I saw one the other day at the end of Seaview Ave in Osterville. We just had showed up around 730am to work in a yard and heard something in the trees. Then the crows and birds went crazy like someone left a trashbag full of food in the woods. We hear something fall through the branches and out comes a 3ft long black squirrel standing 18 inches tall. Looked it up on the phone right there and it matched most of the fisher cat pics I saw. Must have been going for the birds, pretty crazy looking animal glad I wasn’t trimming those bushes. Dead fisher seen on 2/25 on midcape westbound between Exits 6 and 5. I and a neighbor while walking saw a Fisher Cat yesterday March 14, 2014 in East Harwich near Hawknest State Park and Crowell Sand Pit. At least two to three feet long. It was moving parallel to us about 100 to 200 feet. Early last year I spotted a Fisher in the woods just off of Thacher Shore Road in Yarmouthport. Including tail it was over three feet long. 5 of my 6 chickens have been killed in 2 weeks, in Sandwich. I believe it may well be a fisher. Whatever it was, no real signs, but it climbed a 5ft. wire fence. Didn’t eat all the birds, just killed them. Ruled out coyotes. Heard much screaming and saw what appeared to be a family of 3 fisher cats crossing Loriing Ave in West Dennis @ 11:00 pm on 8/26/14. Walking on Barley Neck Road in Orleans at 8:45 this morning (Sept. 13, 2014) i saw in the distance, a dark weasel-like animal in the middle of the road. I had my golden retreiver with me. the animal watched us for a minute, not particularly fearful, and then ran down a side street near the intersection of Barley Neck and Briar Springs. Im thinking it was a fisher cat. My neighbor took a picture of a fisher cat that her dog chased up a tree, She was kind enough to send it to me, it is a beautiful picture! I am on Hyde Park Road, overlooking the sebacia pond. She is two driveways up from me on the backside of the same pond on Oak street in Centerville. We have quite a den of coyotes as well. Saw my first fisher 3/29/15 in the morning – it ran across Lumber Mill Rd (north) heading out of woods to pond across the street. Awesome – may never see one again! Checked Internet just to sure that’s what I saw – it was. Spotted this medium sized black creature crossing Rt6 in Provincetown headed for the pondside of the highway. Upon investigating discussions and pics on the web when i got home, concluded it was a fisher cat. Had never seen one before. Very cool…. I have read that fisher cats are nocturnal and that is confusing for me. I have seen 2 fisher cats or river otters (they are so similar looking on my computer) cross my property in Falmouth close to the Moonakis River during the day? It was black with long tail and very close to ground and slithered quickly across my driveway. Please comment. I live at the beginning of Carriage Shop rd. in Waquoit. Saw one in the middle of the day just after my 5 chickens were walking around. I seemed to be looking for them. Luckily they got back to the barn in time. Heard they love chickens. Several days ago at about 5:30 I saw an animal run across my deck in North Truro on the bayside and thought it might be a Fisher or a Marten. Some research on the internet makes me believe it was probably a Fisher. Then this morning around 7:00 am I saw what appears to be a family of Fishers; a pair and a smaller one again crossing my deck from west to east perhaps coming up stairs and a path from the beach. I have only ever seen one once before about 15 years ago. Will try to get a photo if I see them again, but they don’t seem to linger! The only thing I find confusing is that the animals I saw have very sleek, not bushy fur. I saw a fisher while on the province lands bike trails in Provincetown! Walked into the bike trail, stopped, looked at me with a squirrel in his mouth, and finished crossing the bike trail. So cool! 6 fisher cats in neighbors back yard one night,our beautiful neighborhood stray,one we have cared for collectively,went missing,another neighbor found her torn to pieces in his yard.I believe coyotes carry off pray. I have witnessed this behavior several times.She had survived four years among coyotes.Fishers have been heard and something disturbed the coyotes one night,set them howling.These fishers are voracious.i have read of them decimating wild bird populations.They are not native to the area and have no natural enemies.Cape Cod Wildlife is rehabilitating and releasing them.NIMBY!!!! !Whats the story? Am I missing something?Am I misinformed? Also if you look on you tube you will see plenty video footage of fisher cats in day time,and my neighbor said she has seen them during the day as well.Another neighbor saw one on her porch.I don’t believe these animals only come out at night.Check out youtube. On the deck on Bayside in Truro,October7, 2015. What I’m pretty sure was a fisher, ran quickly across the base of deck along its length. Beautiful dark brown, black fur with fairly bushy tail…..it was about 2 feet long. Beautiful evening, wanted so much to follow it! Saw my very first Fisher Cat this morning in Eastham crossing my front yard and then crossing the street Settlers Trace and was moving fast. Amazing but a scary looking animal. I just saw a Fisher Cat cross my yard and disappear into a wooded area that abuts Beebe Woods. Fast and beautiful. Fishercat chasing red fox ran out in front of car crossing 6A at 9:45 AM this morning. At first glance looked like a small newfoundland but did not run like one. Looked up recent pictures and can can confirm it was a fishercat. Both animals ran out of a neighborhood yard. Happened no more than an 1/4 of a mile from Jarves Street (downtown) headed towards Barnstable on 6A. I’m a local landscaper here in south Dennis. I snapped 2 pictures of one at 11:30am coming out of bass river on old bass river Rd. On a job. I’m not originally from here and I have seen these before. This was a very large animal. Probably the largest I have seen. This was on September 28 th. Just 2 days ago. Originally I thought it was an otter. But soon quickly realized it wasn’t. The way it bounced ran and jumped and walk. It looked like a 40 pound ferret. All black. This thing was huge. I showed neighbors pictures and they were stunned as was I. All agreed this was a fisher. No one had seen anything like this before. The pictures I took were from 70 feet away. At around 11 AM today I was playing golf at Quashnet Valley in Mashpee. When I went to play my second shot near the 150 yard marker on the 6th hole, I spotted a fisher cat standing near my ball. By the time I got my phone out to take a picture, he scooted into the woods. Spotted an animal heading into the woods near our house in Brewster, border of East Dennis, the other day. Emailed Audubon and described what I’d seen, and they replied, “Congratulations! That’s a fisher!” Looked like the picture at the top of this page – but bigger, heftier. I think that I saw a animal bigger than a cat smaller than a mountain lion on a died tree trunk. It sounds like people described here Fisher Cat. I have a fuzzy picture. It has been seen near 6A and Rt 134. Heard a strange almost scream in my back yard last night in yarmouthport, definitely think it was a fisher cat based on the research I have done today. Just saw a fisher cat at the end of my driveway at 9:45 PM about a mile south of 28 in Cotuit. It was just meandering around sniffing the area where the dog had been. First sighting of one of these. just saw one in the woods off old chatham rd in dennis at dawn .it ran up into the top of a pine tree when it saw us and sat there and slashed its long tail.got a good look at it,definitely a Fisher cat. Been having a lot of our pool toys destroyed this summer, shredded to bits. Thought it was a raccoon until Tuesday evening a huge animal was lying by our pool with his paws in the water. Watched for a few minutes and then he went into the bushes. He has been by many nights, claw marks on our trash cans etc. Never seen a fisher cat until I looked it up and that was what it was. Very concerned with small children in the neighborhood. Can I report it to anyone? In our neighborhood we have had coyotes and raccoons etc. but never a fisher cat. Lived in this house for 40 years and this is the first time to ever see this animal. Saw one run across the road this morning at about 7:20 am, on Setucket rd. in Yarmouth port. good size, when stretched out took up more than half the lane.